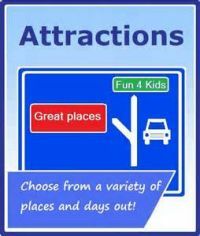 City of Quinte West Attractions. Visit our Calendar of Events for more of what's happening in and around Quinte West. Visit our Day Trips In and Around Quinte West for more suggestions on how to spend a day. Four nights of live outdoor enterainment in Centennial Park, RiverFront Square and Fraser Park. Bring a lawn chair. For more information call 613-392-2841 FREE ADMISSION. Just stop and ask anyone how to get to the top of Trenton. From atop the "Lookout Tower" on Mount Pelion you get a beautiful 360o panoramic view of Trenton. For more information call 613-392-2841. National Airforce Museum of Canada - Admission is Free! Open from May to November the Market is located on Front Street along the Trent-Severn Canal. Come on down and pick-up some fresh produce, baked goods, maple syrup, honey, preserves and more! (OPEN: Thursday & Saturday 7am to 2pm). For more information call 613-392-2841. The main even is on Saturday at the Bayshore Park in downtown Trenton. Arts, crafts and food vendors add to this traditional event. Music, dancing and good times await you . . .
Starts the long weekend in may, when people come together to kick-off the summer along the Trent River at Frankford Tourist Park. There is a classic car show, carnival rides, musical entertainment, vendors and a great fireworks show at dusk. For more information call 613-392-2841. 3 Days of great blues on the riverfront. On-site camping. A Family, friendly, all ages event. Weekend and day passses available. For more information call 613-392-2841. Join Quinte West residents to celebrate Canada's birthday at Centennial Park in Trenton. Musical entertainment, children's games, a parade and much much more. At dusk there is an amazing fireworks display followed by an outdoor movie. For more information call 613-392-2841. Operated by the Trent Port Historical Society, the museum is in the old town hall. There are interesting exhibits to celebrate the growth of the community. For more information call 613-392-2841. The Bay of Quinte, Trent River and Lake Ontario make for a diversity of fishing grounds. There are lots of FREE boat launches and plenty of places to fish from the banks. Fish include walleye, pike, garpike, small & large mouth bass, trout, perch, sunfish, carp, muskie, eles and more. In winter fishing huts are scattered around the bays. There are also fishing tournaments. For more information call 613-392-2841. There are plenty of places to go hiking, walking, jogging, swimming, boating, fishing, picnicing, roller blading, cycling, horseback riding, camping, cross country skiing, downhill skiing, snowshoeing and more. For more information call 613-392-2841. Cool off with the kids at the Frankford or Trenton Splask Parks and playgrounds. Pack a picnic and spend the day at these Admission Free sites. Parks open daily, in summer, from 9am to 8pm. For more information call 613-392-2841. Located in Hanna Park on Dufferin Avenue, this "off-leash" dog park allows plenty of room for your dog to run. This dog park is completely enclosed to ensure safety. Dog owners must comply with ALL dog park rules and regulations. Users of the dog park do so at their own risk. All dog owners are subject to the Dog Owner's Liability Risk! For more information call 613-392-2841.